dance.net - White Sailor's Hornpipe costume (10244298) - Read article: Ballet, Jazz, Modern, Hip Hop, Tap, Irish, Disco, Twirling, Cheer: Photos, Chat, Games, Jobs, Events! 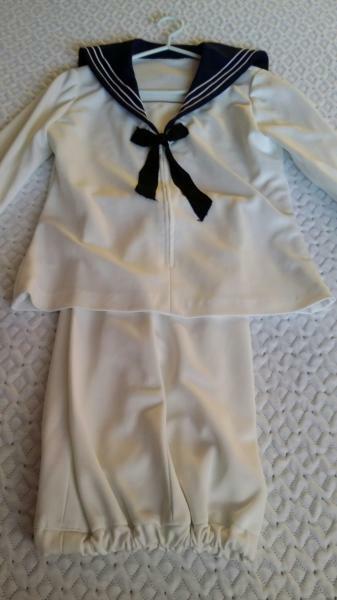 This white Sailor's hornpipe costume is in very good condition. The waist on the pants is elasticized so it can fit as the dancer might grow. Asking $40 CAD plus shipping from Calgary, Canada.